I have a thing for swimsuits, I really love them. 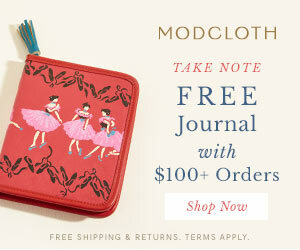 But they can be really pricey, especially if we’re talking about pretty, fancy models. So, considering that I’m spending just 4 days at the seaside this year (I think I need a support pat for this :P) I didn’t really want to splurge on a swimsuit. So when Brit+co editorial team suggest me to work on a swimsuit/bikini kind of post, I thought this was the perfect time for me to try new techniques and embrace my beloved trend without breaking the bank. Così quando il team di Brit+co mi ha proposto di lavorare ad un DIY a tema costumi da bagno, ho pensato fosse la mia occasione per sperimentare nuove tecniche ed abbracciare il mio amato trend senza dover rompere il porcellino. I’ll be honest, since this was the very first time for me working on a swimsuit, I didn’t want to sew a swim piece from scratches! So I bought a very simple kind of swimsuit from Asos and then had fun with the DIY part. I feel like I’m really proud of the final result: it’s simple yet chic at the same time. Unluckily the swimsuit I personally bought is no longer available, but I spotted some other pretty options for you in case you want to try this project like this one, or this or this. Siccome era la prima volta che sperimentavo con i costumi da bagno, lo confesso, non me la sono sentita di partire da zero! Così ho acquistato un costume super basic ed economico su Asos e l’ho reso più particolare con questa fantasia a blocco di colore. Il risultato mi piace davvero un sacco: semplice e sofisticato al tempo stesso. Il costume che ho acquistato io nello specifico purtroppo non è più disponibile, ma ci sono molti modelli simili come questo, questo e questo se volete. What more can I sai? If you swimsuits and DIys you can’t miss this project! 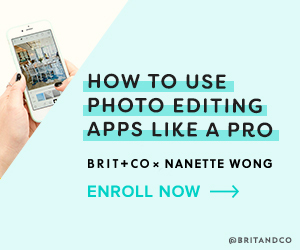 Jump on Brit+co and follow this easy step by step tutorial! Insomma che altro aggiungere? Se amate i costumi e i DIY non potete perdervi questo progetto! Fate un salto su Brit+co per il tutorial con tutte le istruzioni passo passo!